Vanilla ice cream 1 Qt. In medium mixing bowl combine mango, nectarine and strawberries. Toss with vanilla bean paste to coat completely. 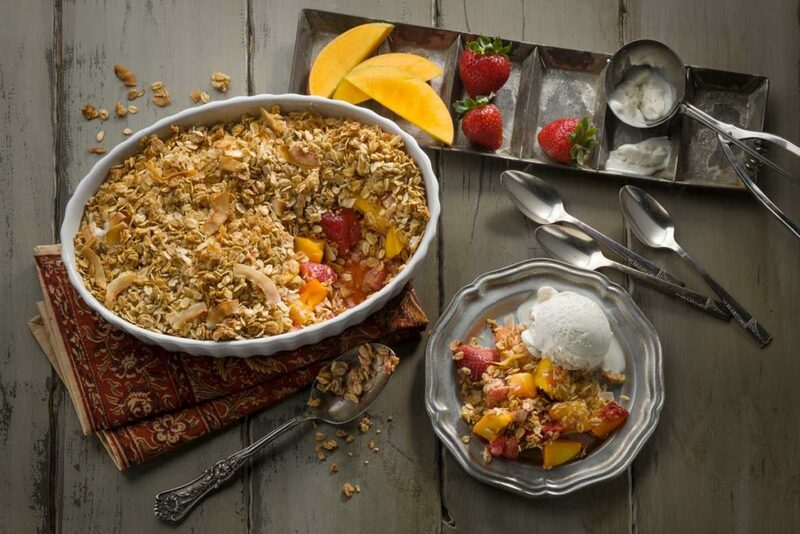 Place fruit in a buttered or sprayed baking dish sized so fruit is about 2 inches deep. 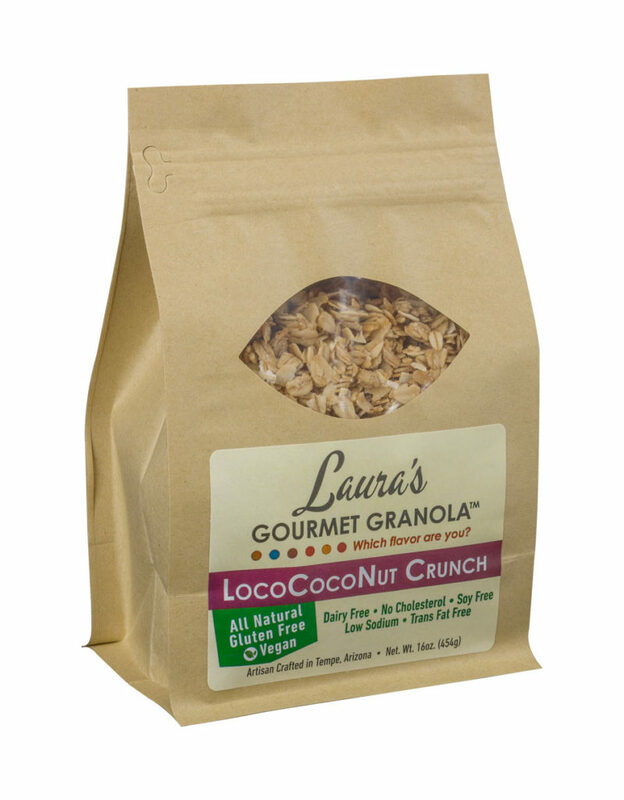 Sprinkle Laura’s Gourmet Granola, LocoCocoNut Crunch, evenly over fruit, pressing gently into the fruit. Place in a preheated 325 convection oven (350 conventional). 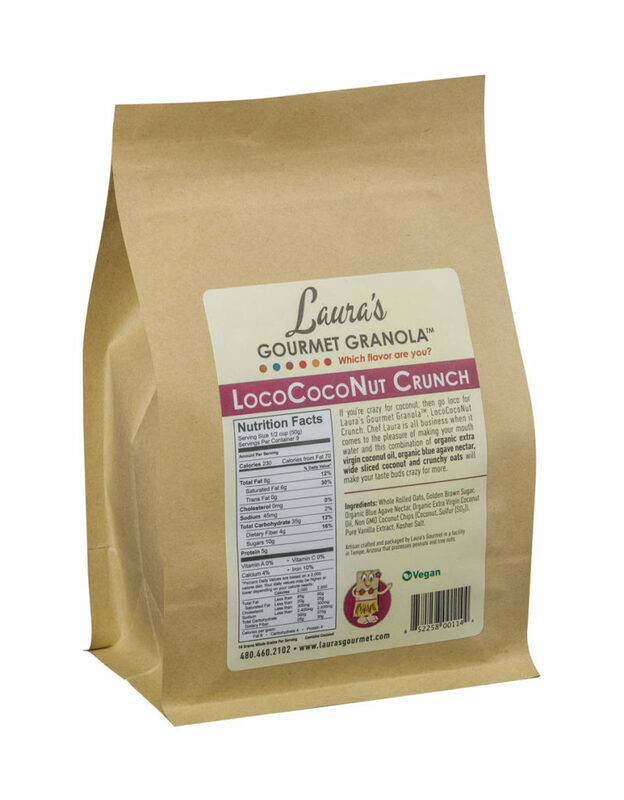 Bake for 15 – 20 minutes or until granola is a deeper golden brown. Remove from oven, let stand for 10 minutes, then serve warm with vanilla ice cream. Alternatively, cool completely and refrigerate, covered, up to 4 days. Rewarm in oven to re-crisp the topping.